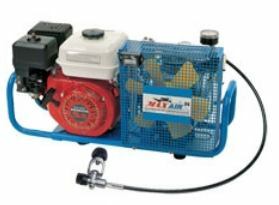 Scuba Compressor: Get Air In Your Tank; Is A Portable One For You? 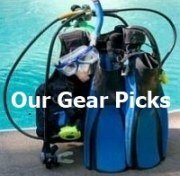 A scuba compressor is one thing divers can't live without. No air compressor means an empty tank and no dive. And who wants that? 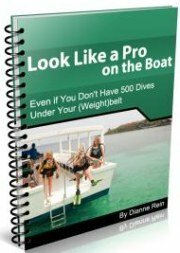 Luckily, most divers don't need to buy their own because one thing they aren't is cheap! Portable compressors are cheaper but we are still talking in the thousands of dollars. But how great would it be to own your own scuba compressor? No need to wait for the dive shop to open or wait in line. Just fill up your tanks and go. I always envy the people I see that have one installed on their boat. Now that leads to some diving freedom. Dive shops and liveaboard boats, of course, have to have the gorilla of scuba air compressors since they have to fill so many tanks in a day. 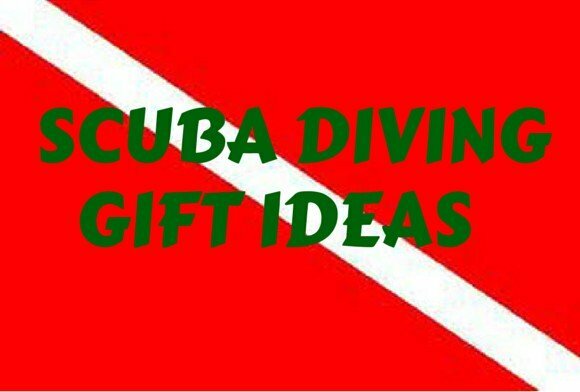 Dive shops especially. These machines usually fill large high pressure cylinders first and then distribute the clean air into the tanks so many tanks can be filled efficiently in one day. 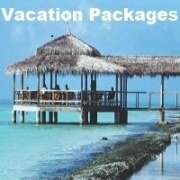 Why are scuba compressors different than other types? Probably the two biggest differences between other compressors and one used exclusively for scuba are pressure and air quality. 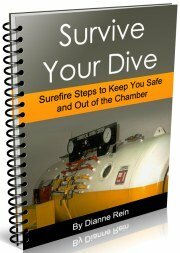 Dive tanks need to be filled to very high pressure - about 3,000 psi (pounds per square inch). The standard compressor you may see in a store would only fill to a fraction of that pressure. The other extremely important difference is the quality of the air that ends up in the tank. Obviously, as divers we need clean, high quality air since we will be breathing it. Our life literally depends on it. 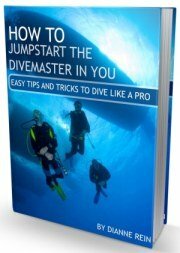 We've probably all read the stories of divers that have been injured or died because the quality of the air in their tank was not up to par. 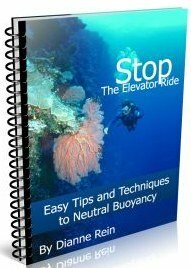 In fact, I was on a liveaboard in Thailand when this exact issue came up. As we were suiting up to go for our next dive, one diver was smelling the air coming out of his regulator. He said it did not smell right to him. The divemaster came over and smelled it. He said it seemed fine to him. But the diver wanted a new tank - which they gladly gave him. We were on our second or third day of the trip when this happened so we had been using the tanks for quite a few dives already. The dive boat had a compressor on board which was used to fill all the tanks. Who knows if the tank was OK or not? Maybe something did happen to contaminate the air at intake or at some other point in the process. I'll never know. If nothing else, it certainly gets one thinking. Your standard air compressor does not have the same quality of filtering and cleaning as one designed for divers. The air would not be fit to breathe while diving. 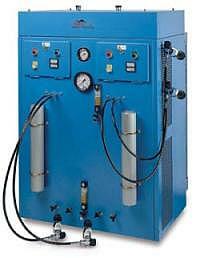 How does a scuba compressor work? Ever wonder how those big machines on your liveaboard or at the back of your dive shop work? If you have, I have the resource for you. I certainly don't know all the intricate details of the working of a compressor - and truthfully, I am not really all that interested. 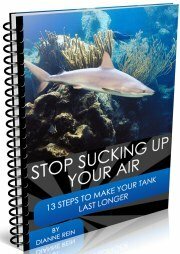 All I am really interested in is getting a high quality tank of air. But if you want all the nitty, gritty details you can read all about them to your hearts content right here. I hope you enjoy the article. If you are thinking about buying your own machine, one of the cheaper options is a portable air compressor. One that may be withing the reach of the average recreational diver is this portable model. It only weighs 85 pounds and can fill an 80 cft tank from 500 to 3000 psi in approximately 20 minutes. The one drawback it does appear to have from reviews I have read is that it can be a bit noisy. So no late night fills if you have neighbors (at least ones you like!). Not that this is a cheap option, but if you have the money and desire it, this scuba compressor may be worth it for the convenience. 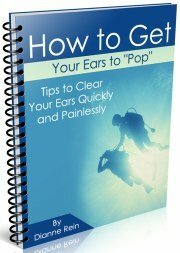 Hopefully you have found this article helpful. Good luck shopping if you decide to buy your own compressor. May you have many good dives from it!